Blurb Two button mouse and interface. Notes Introductory offer of the Kempston Mouse + (a special version of) Art Studio, The software package for £69.95. 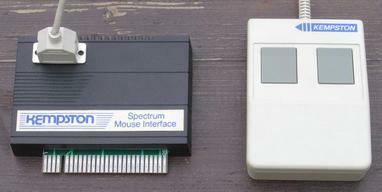 Later versions of the package include Kempston Toolkit and Spectrum Graphics Kit instead of Art Studio, for £49.95.